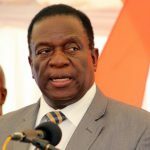 When President Emmerson Mnangagwa campaigned in July for Zimbabwe’s presidency, he promised to be a business friendly leader, and to return his country’s economy to twentieth century times of plenty and prosperity. But Mnangagwa has already shown himself incapable of jettisoning the state centrist, rent-seeking predilections of his predecessor. A “big-bang” sharp break with Zimbabwe’s recent past is essential to reassure consumers and capitalists. Yet Mnangagwa and his cronies have so far rejected anything forward-looking and sensible. 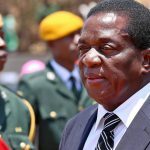 Mnangagwa’s administration is struggling to overcome the national economic destruction wreaked on Zimbabwe over two decades under Robert Mugabe. This included profligate spending, immense debt pileup, colossal corruption, and ravaging of the country’s once immensely productive agricultural sector. As a result, Zimbabwe now lacks foreign exchange with which to buy petrol and ordinary goods to stock the shelves of its supermarkets. In the last few weeks many shops – such as Edgars, a long-time clothing store; Teta, an eatery; KFC, a fast food outlet – have simply shut their doors. Queues for petrol stretch for miles. Banks have no US dollars, or South African rands or Botswana pulas (the notional national currency), and therefore cannot supply stores or customers with the funds to carry on business as usual. This week the locally created Zimbabwe bond note, officially supposed to trade 1 to 1 with the US dollar, has traded as high as 10 to 1 on the Harare black market. Sometimes it trades for a little less. It is unofficially called the zollar. The new administration has naturally resorted to printing its own faux money. That inevitably has led, as always, to hyperinflation and monetary collapse. 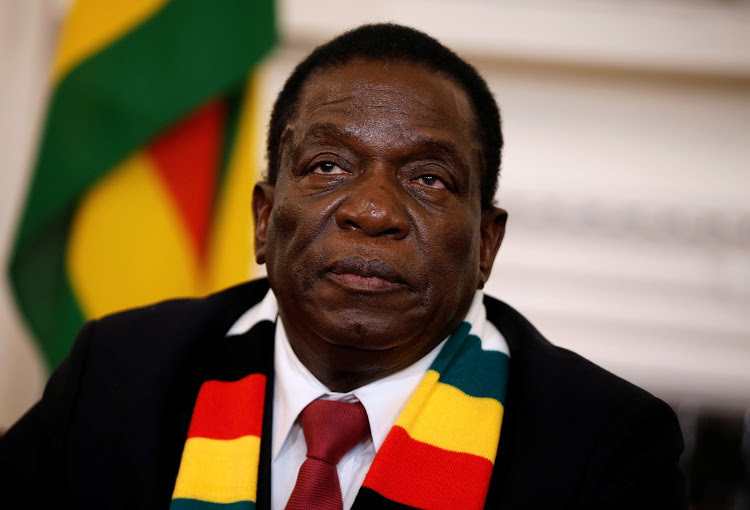 China may yet help Mnangagwa – but in exchange for multi-years worth of precious minerals and Virginia tobacco at discounted prices. 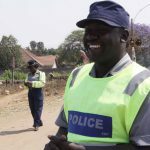 With Zimbabwe’s leadership so thoroughly tainted by decades of peculation and mendacity, and devoid of any real notion of “the public interest,” Mnangagwa’s regime is otherwise unlikely to clean up the prevailing fiscal mess because of its refusal to break sharply with the fiscal derring-do of the Mugabe era. Its principals continue to profit from Zimbabwe’s economic mayhem. Zimbabwe’s economic weaknesses are unsustainable. Governments in such parlous straits would turn, even now, to the International Monetary Fund, for a bailout – as Pakistan has just done. But Zimbabwe is already in arrears to the international lending institutions and has very few helpful friends left. Government is running a hefty overdraft. And it’s been unable to collect as much as it needs from the national tax base. Its now attempting to impose a 2% tax on internal electronic financial transactions. This only shows desperation. If implemented, it could yield twice as much revenue as is derived annually from VAT. But that losing manoeuvre has already helped drive commerce underground. It has also undermined what little confidence consumers and financiers have in their current rulers. The Mnangagwa government has also reimposed import and exchange controls, thus creating additional incentives to avoid regular channels of commerce. Those controls also permit officials to allocate “scarce” resources and licenses to import, export, and so on. These are well-known occasions for corruption and for giving rent-seeking opportunities to cronies. It wasn’t always this bad. Despite the massive loss of formal employment that occurred under Mugabe, the informal sector flourished and Zimbabwe’s poor probably benefited. 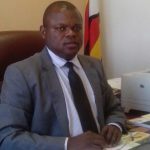 This was partly because under the unity government of 2009-2013, when Tendai Biti of the Movement for Democratic Change was finance minister, there were no such controls and there were plenty of US dollars and no questionable bond notes and Treasury bills. Hard currency (the US dollar) permitted Zimbabwe to start growing economically after the long Mugabe slide, and individuals and businesses to prosper. The country ran a budgetary surplus. But this all came to an end when the government of national unity collapsed in 2012. To begin to restore the economy, the government needs to acknowledge corrupt dealings and repatriate the huge amounts of cash that have fled the country as laundered money. The regime could also try to take ill-gotten gains away from Mugabe and Grace Mugabe, as Malaysia’s new government is doing to its previous kleptocratic prime minister and his wife. Gestures in that direction would help to begin to restore confidence, a step towards eventual prosperity. So would promises to restore the rule of law. Investors might also return if a sound currency was likely. But that would only follow shedding of ministers, civil service layoffs, military reductions, and many other indications that Mnangagwa and his minister of finance were serious about reducing the debt hangover. Cutting some sort of deal with the IMF would also be worthwhile, but that could mean giving control over the Treasury to foreign advisors. Zimbabwe is and, since Biti’s day, has been, a basket case. It’s time to acknowledge that fiscal reality and to do something about it. A KFC in Harare, like many other shops, has shut down as a result of Zimbabwe’s financial crisis . The locally created Zimbabwe bond note, officially supposed to trade 1 to 1 with the US dollar, has also been losing its value. It is unofficially called the zollar.